We woke up around 9 this morning, ate the continental breakfast (which was actually pretty good), then were on the road by 11. 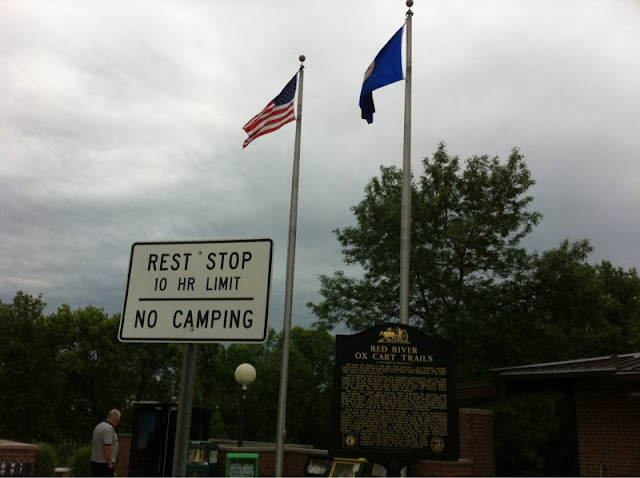 We got to our next destination in Fargo, North Dakota at 5, after stopping for lunch at McDonald's and taking a driving break at a rest stop. The next destination was at Dad's cousin Orvis's house to see him and his wife. We took them out to dinner at Doolittles Woodfire Grill. It was delicious, and I heard some new stories about Dad and Orvis that I had never heard before. 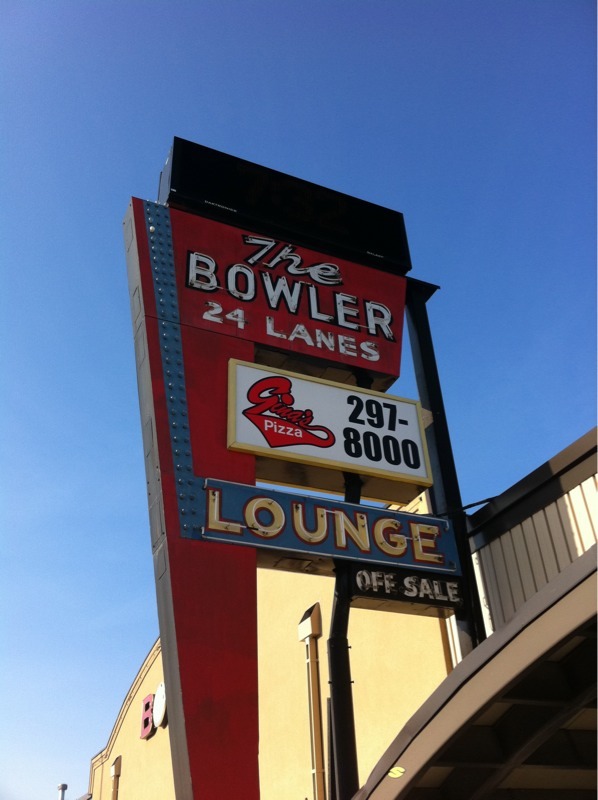 After dinner, we stopped at a bowling alley named The Bowler where my Dad used to bowl about 40 years ago. It was set up a lot differently than any other bowling alley I've been in. There were a lot of stairs, which would make it extremely difficult to wheel a bowling bag around. We checked out the gambling room and I was walking around the poker tables when one of the employees yelled, "You can't be back there!" I walked between two of the tables guess she thought I was going to try to take poker chips that were clearly locked up in a case. She was crazy. Right after that a waitress asked me for my ID because only people 21 years old and older were allowed in the gambling area. I left mine in the car, so she asked me to leave. By then I was pissed off by how rude they were. I said "Don't worry. I don't plan on staying here much longer." She was extremely rude. After that, we walked across the hall and the waitress followed us into the bar area, where there were KIDS! She told my Dad that I wasn't allowed in the bar area without my ID, and he retorted with "If you're going to kick him out, these 10 year-olds need to leave, too." That shut her up. Ha ha. So, we looked around some more and left. There are two Comfort Inns here - East and West - and we ended up back at the wrong hotel. We even tried to get in the room with our number on it. The hotels were almost exactly the same. While Mom and Amy were getting out of the car, they were about to take a picture in front of a lilac bush they saw earlier. One problem: the bush wasn't there anymore. That's the only thing that was really different. Anyways, we're back at the right hotel now. Tomorrow's destination: Watford City.